A credit report, also known as a credit history, includes information on an individual’s or company’s financial borrowing and repaying history. This includes any late payments and bankruptcy filings. Credit report / credit history information is held at a credit bureau and is used by lenders (ex: credit card companies) to determine an individual’s credit worthiness. Credit worthiness is an individual’s track record of debt repayments and takes into consideration one’s willingness to repay a debt and the timeliness of past payments. There are three nationwide credit bureaus: Equifax, Experian, and TransUnion. Each of these credit bureaus collects financial data from employers, creditors, public records, and landlords. Negative, or derogatory, information usually stays on your credit report for 7 years, including foreclosure and student loan information. Bankruptcies can appear on your credit report for 10 years and unpaid tax liens can remain on your credit report for up to 15 years. Inquiries from potential creditors stay on your credit report for 2 years, and too many inquiries can be viewed as negative. Even derogatory information more than 7 years old can appear in a report for a job that pays $75,000 or more annually if you apply for a loan or life insurance. It’s important to note that credit reports do not include information including race, color, religion, gender, assets, or occupation. Personal information regarding medical conditions is also not included on credit reports, however unpaid medical bills or medical payments can be disclosed. Credit scores, or FICO scores, range from 300 – 850. The Fair Credit Reporting Act (FCRA) is a federal law that was designed to protect the integrity and privacy of individual credit information. 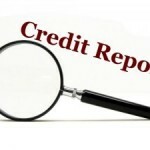 The FCRA imposes rules on how credit reporting agencies can report individual information. Our experienced lawyers can help advise you on what do do if a CRA or a creditor violates your rights under the FCRA. Contact LegalHelpLawyers.com today to speak with an experienced credit attorney.